When it comes to leopard, I don't think I will ever change my spots. My love for leopard print is slightly unnecessary, and sometimes you've got to have a little spot (excuse the pun) of tackiness in your life. That said, these Banana Republic pants are far from that. I will hold my hands up and admit that I did purchase these after seeing the almighty Olivia Palermo wearing them, and I am so glad that I did. The 'Sloan' pant is by far the most flattering and comfy pair of trousers I have owned to date, they are the perfect length for my long legs, and they come in a range of colours. These leopard print ones are my personal favourite, but I do think the yellow pair may be on the cards soon. This gorgeous clutch bag from Marks and Spencer is one of my recent purchases. M&S have a really impressive range of clothing and accessories at the moment, and it's fast becoming one of my new favourite stores. I saw this bag a couple of months ago and never got round to buying it, but I'm glad I didn't because it was definitely the bargain of the century when I checked back again a few weeks ago, at the almighty price of £12. My only grievance is that I didn't buy the pink and leopard (yes, more leopard!) version. They are unfortunately both sold out now, but you could still try in-store if you fancy a bargain. There's lots of prints going on in this outfit, and I am just a sucker for clashing prints. It may not be to everyone's taste and some people may feel it's a bit too 'busy', but sometimes more is more. As long as you get the right consistency of prints and colours, I personally think it can work really well. Just throw in a block colour somewhere to add a bit of a foundation to your look. What do you guys think about leopard? 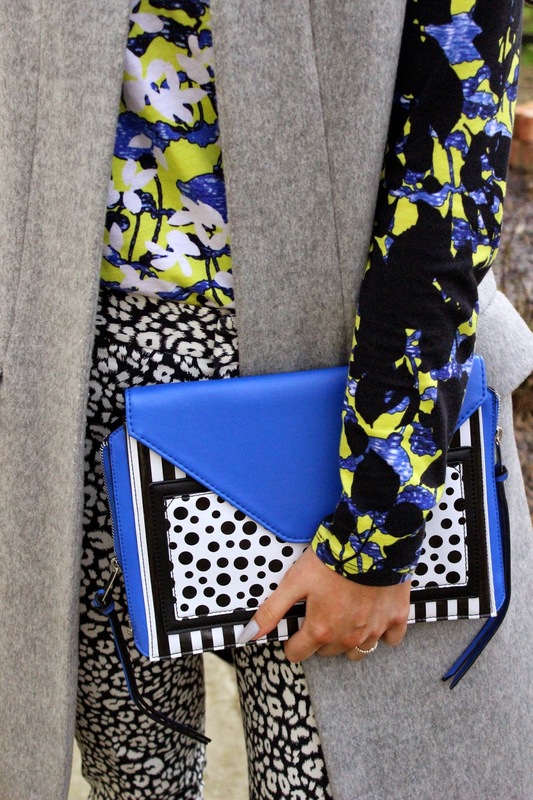 Do clashing prints work for you? That waistcoat is to die for! Amazing outfit! Love how you combined all the pattern! You look gorgeous! Just found your blog and really love it! Would you like to follow each other on GFC, facebook and bloglovin to stay in touch? Let me know, thanks! You are giving Palermo a run for her money!! 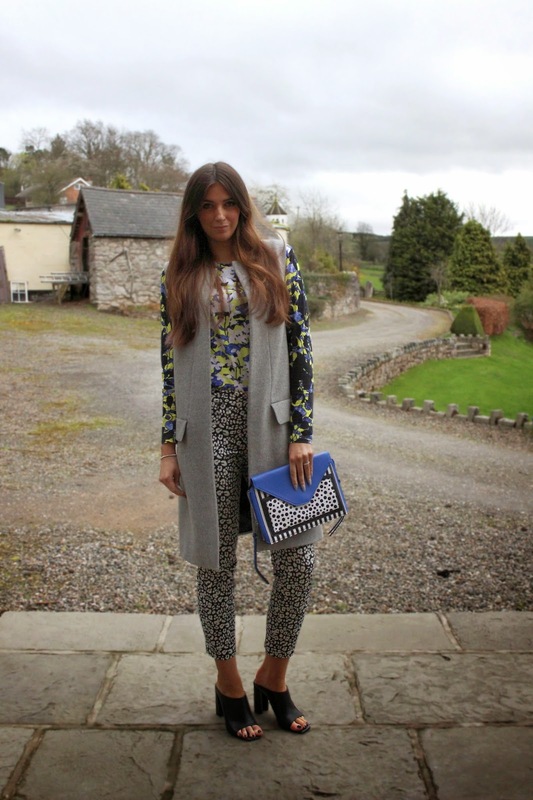 Clashing prints are my favourite trend and you do it perfectly!!! I really love your bag too, can't believe it was only £12! Could you check out my blog and follow it? I woll follow back immediately! I have at least one blog post a day! Your gorgeous!! Love this outfit!!! Love this look, you are very beautiful!